Metro Manila based photographer Louie Aguinaldo started taking photos professionally during the mid 1990's. Previously, he had been photographing portfolios for models belonging to a modeling agency he ran beginning 1991. Seeing his work, a top Philippine television network gave him his first paid photography assignment to shoot some of their young artists towards the end of 1995. A new career began. Since then, Louie Aguinaldo has expanded his craft to doing photography for advertising, fashion, food & beverages, products, people, and concerts. 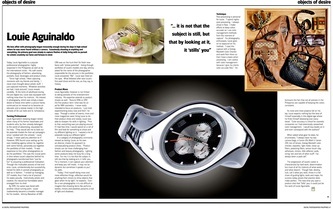 He has also been a contributing photographer for over 30 local and international magazines. 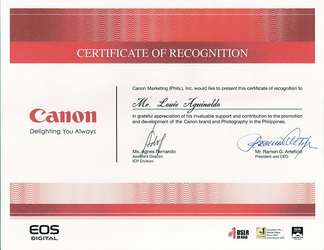 In addition to his work as a photographer, he also serves as Technical Officer of DPI Photography Center ( a resource center providing a wide array of Professional services and resources for Philippine based digital photographers ) and DPI XL Studios ( a large studio rental facility in Makati City, Philippines). 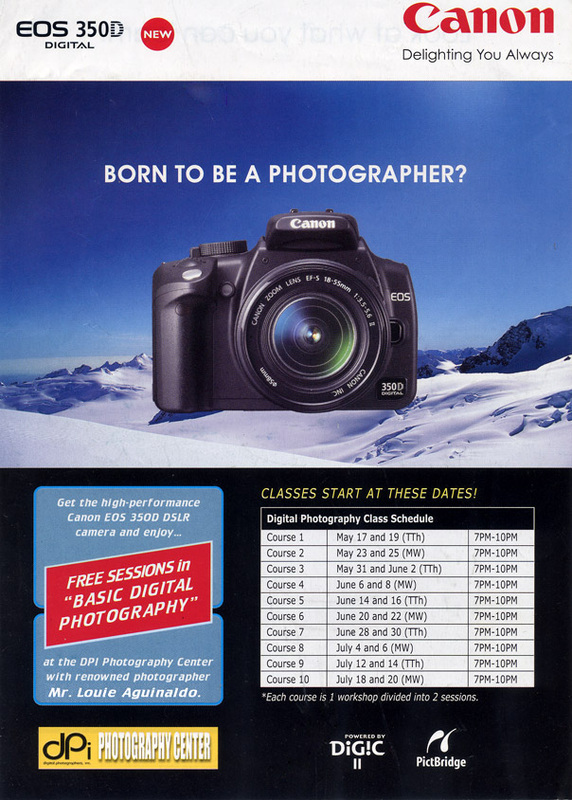 He also serves as a resource person for various photography and color management seminars and workshops. 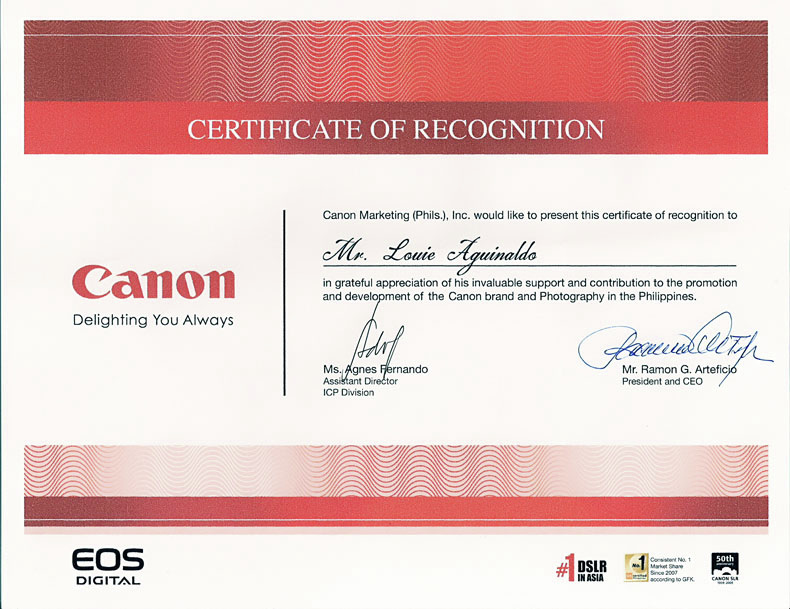 He has also been tapped by Canon Philippines to conduct series of seminars on digital photography for their EOS Digital SLR customers in 2005-06. At present, Louie Aguinaldo has become increasingly known for his product and still life work in titles such as Town and Country, Marie Claire, Martha Stewart Weddings, Cosmopolitan, Preview and several other magazines. 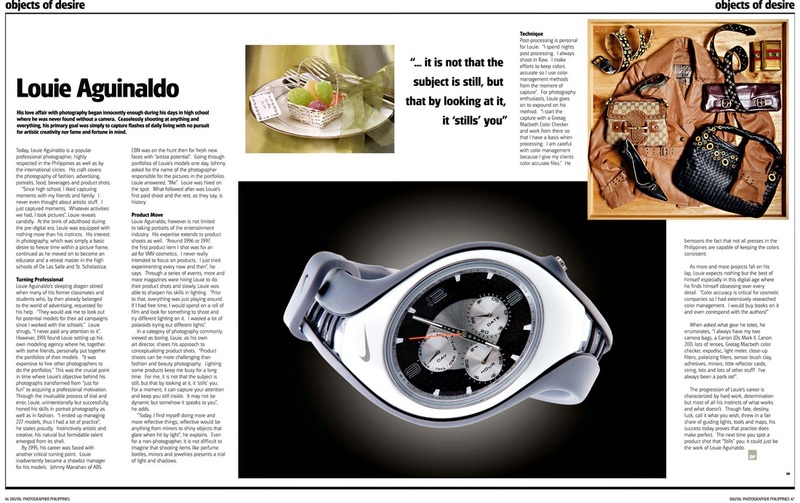 He is particularly skillful at photographing reflective and shiny objects and thus he is kept busy with a lot of projects photographing jewelry and luxury items. He also regularly does food photography for some hotels and restaurants. He continues to do people and situational photography for both advertising and editorial clients. His particular knack at dealing with kids also keeps him a favorite of some children's clothing brands.